If you are interested in investing in Vanuatu, below you can find all types of Vanuatu Investment Vehicles. The finance sector in Vanuatu, consisting of banks and insurance providers, contribute about 7% to Vanuatu’s GDP. In 2004, this represented a growth of 9.3% over the previous year. The financial sector in Vanuatu consists of the Reserve Bank of Vanuatu (RBV), banks (both domestic and off-shore), credit unions, money exchanges and remitters and insurance companies. The banking sector is relatively small, consisting of five domestic banks and seven off-shore banks all of which are regulated by the RBV. Greater regulation of the off-shore banks, conducted by the RBV enforcing local physical presence, led to a dramatic drop in the number of off-shore banks operating in Vanuatu. Insurance companies are regulated by the Vanuatu Financial Services Commission (VFSC) and money exchanges and remitters are regulated by the Ministry of Finance through the Customs and Revenue Department. Remittance businesses in Vanuatu are limited to a Western Union franchise operated by the Vanuatu Post Office and a Moneygram operator. The remittance sector in Vanuatu is relatively small, servicing mainly the tourist industry. The designated non-financial businesses and professions (DNFBPs) that operate in Vanuatu consist of trust companies and service providers (TCSPs), law firms, accountants, gaming agencies, real estate agents and car dealers. These entities are all defined as financial institutions under recent amendments to the Financial Transactions Reporting Act (FTRA) and therefore fall within the AML/CFT regime in Vanuatu. One casino currently operates in Vanuatu, although there are a number of applications for licenses currently under consideration. Licenses for casinos are issued by the Department of Customs and Revenue. Foreign applicants for a casino license must first receive a clearance from the Vanuatu Investment Promotion Authority (VIPA) which will determine if the applicant is of a good character and that there is a viable business plan. Casinos are subject to the FTRA and therefore subject to supervision by the VFIU. The shipping law is modelled on that of Liberia and non statutory US maritime law applies. Special surveys are required to register ships that are more than 20 years old. There are no obligations to employ Vanuatu citizens as crew or officers although the Vanuatu Maritime College produces qualified seafarers. There are regional offices in New York, London, Athens, Singapore, Hong Kong and Yokohama which may effect registration. All of the major international conventions apply. Ships registered in Vanuatu are usually owned by Vanuatu companies. On registration, a fee is payable which is at a reducing graduated rate based on net tonnage. The annual tonnage tax is on a reducing scale from 0.25 to 0. 10 per tonne. There is no stamp duty bills of sale. There is no requirement for a shipping company to submit audited accounts. There is an emergency flag transfer procedure which may be invoked even where the transfer does not have the approval of the existing flag state. Charges registered under the Maritime Act need not also be registered under the Companies Act. Vanuatu has Eleven Trust Service Providers operating in Port Vila. These are licensed as companies through the Registrar of Companies within the VFSC and are also subject to their obligations under parts 2 and 3 of the FTRA. Company Service Providers will be licensed under the new CTSP Act. Lawyers were brought under the FTRA through amendments introduced in 2000 but only to the extent that the lawyer ?receives funds in the course of his or her business for the purpose of deposit or investment, or settling real estate transactions (whether or not the funds are deposited into a separate trust account)?. The 2006 amendments expanded the scope of activities that would subject lawyers to the requirements of the FTRA. Accountants, like lawyers, were bought under the FTRA under amendments introduced in 2000 but only to the extent that the accountant ?receives funds in the course of his or her business for the purposes of deposit or investment (whether or not the funds are deposited into a separate trust account)?. This scope was widened by the introduction of amendments in 2006. NPOs in Vanuatu are governed by the Charitable Organizations Act. AML/CFT legislation is found in the Proceeds of Crime Act, the Financial Transactions Reporting Act, the Counter Terrorism and Transnational Crime Act, and the Criminal Procedure Code. This legislation does not specifically address NPOs, however there is no indication that an NPO is in any way exempt from any of the asset freezing or seizing measures contained in the legislation.? Vanuatu company law was previously only found in the Companies Act (Cap 191). This Act is based on the UK Companies Act 1948 as altered and extended by the UK Companies Act 1967. Thus, in addition to having the usual limited liability company, it is also possible to have a company limited by guarantee and an unlimited company. Companies set up under this Act to do offshore work are known as exempted companies, with local companies undertaking domestic work. An exempted company is one whose business is carried on outside Vanuatu although, provided there is no trading within Vanuatu, this can include matters directed from Vanuatu. Local companies are permitted to carry on business in Vanuatu and are required to make full returns, although their accounts need not be audited if their annual turnover is less than approximately US$200,000. Companies are also divided between public and private (i.e. where there are 50 members or less and the transfer of shares is restricted). If the company is to be a local company details of the beneficial ownership of the company must be given. Details of the beneficial ownership of exempted companies are not disclosed. The International Companies Act (1992) provides a type of company called an international company. Both local and exempted companies can be converted into an international company. The following information applies to the International Companies Act, unless otherwise indicated. It is possible to reserve names, but names may not be used where they inappropriately suggest a financial institution or a connection with an official government department or are similar to or the same as an existing company. One copy of the proposed constitution must be submitted to the Financial Services Commission. Separate articles are not necessary. The company can have the ? Limited? or an abbreviation thereof in any language. There need only be one incorporator under the constitution who need not be a shareholder. The government fee of US$150 is paid on formation and the annual government fee of US$300 is payable on 30 June each year (reduced to US$150 if the company was not in existence the previous 31 December). Pre-incorporation contracts may be ratified by an international company upon incorporation. Complete flexibility with shares which may take any form or as an alternative there need not be a share capital. A company may purchase its own shares and may also cancel them, so long as at least one shareholder remains who is not the company itself. A minimum of one member is required, and he/she/it may be of any nationality. The company may choose whether or not to have officers other than one director, who may be a corporation, and can be resident anywhere. There must be a registered agent in Vanuatu. The statutory books (Minute Book, Register of Officers and Register of Charges) can be kept anywhere in the world, but the Vanuatu Financial Services Commissioner (“the Commissioner”) may direct that they be brought to Vanuatu. The register of members must be maintained in Vanuatu. It is not necessary to have a physical annual general meeting. The directors can meet by any means anywhere in the world. the company has not carried on any business in Vanuatu, except as permitted by the Act. by allowing trials relating to them to be held in camera with no public record. In certain circumstances, information about the Vanuatu Companies can be shared with authorities in other countries. A company may at any time pay dividends out of capital or gift assets to third parties, so long as the company remains solvent. Vanuatu companies may re-domicile to another jurisdiction. It is also possible, where the current law governing the company does not preclude it, for a non Vanuatu company to re-domicile to Vanuatu. The shareholders must agree and the creditors must not be prejudiced. An approval for re-domiciliation is good for three years. Local and International insurance companies including Captive, Intermediaries, Managers and Re-insurers may be set up under the Insurance Act 2005 & Insurance Regulations 2006 and the Protected Cell Company Act 2005. Applications are dealt with by the Commissioner. Evidence of beneficial ownership, financial standing, experience of the managers and a business plan must be submitted. English law of general applicability that applied as of 30 July 1980, including legislation based on the UK Perpetuates and Accumulations Act 1964, is applicable. One possible disadvantage is that the rule against accumulations beyond 21 years may cause problems for some long‑term discretionary settlements. The perpetuity period is lives in being and 21 years or 80 years. Trusts are not publicly registered although there is a stamp duty payable on the instrument constituting them. The stamp duty relates to the value of the property put into the settlement by instrument (0.5 per cent subject to a minimum of Vt7,500). New legislation has yet to be passed to provide measures for: (a) the exclusion of foreign forced heirship; (b) asset protection; (c) recognition of the proper law of trust and the abolition of the rules against perpetuates and accumulations. Investor protection: setting up banks and investment vehicles. It is technically possible to have an exempted company registered as a bank under the international Banking Act, in which case full disclosure requirements apply. The International Banking Act was effective from 1 January 2003 and the information that follows reflects the new provisions. bank must have physical premises and one or more full time Vanuatu resident employees who are knowledgeable about the day to day running of the bank. periodic inspection by the Reserve Bank of Vanuatu. An international bank must use the word ?bank? or an equivalent to indicate its activities. Whilst the above relaxed requirements apply where a recognised international financial institution is to be the beneficial owner of the offshore bank, higher criteria are applied where the owner cannot be so described. In such a case a higher paid up capital may be required and in addition references will be required as well as evidence that the bank will be run by competent persons of probity who are suitably experienced in the running of such institutions. In order to evaluate this information full details of the intended activities of the bank are required, including a business plan. There has been a policy of not granting licences to banks that intend to provide chequing facilities for members of the public. There are currently approximately seven licensed International banks. Except where an exempted company is trustee for only one particular trust, professional trust business, including acting as an executor and administrator of estates, comes under the Trust Companies Act (Cap 69). Trust companies must be licensed and must have a sufficient paid up capital (US$125,000 if incorporated in Vanuatu, otherwise US$500,000). In addition, full details of those running the company and of the beneficial owners must be with suitable references. The trustee must have the minimum paid up capital. Legislation (the Prevention of Fraud (Investment) Act (Cap 70)) exists for dealers in securities. Separate pieces of legislation have also been introduced to establish mutual funds (Mutual funds Act No. 38 of 2005) and the creation of unit trusts (Unit Trust Act No. 36 of 2005). 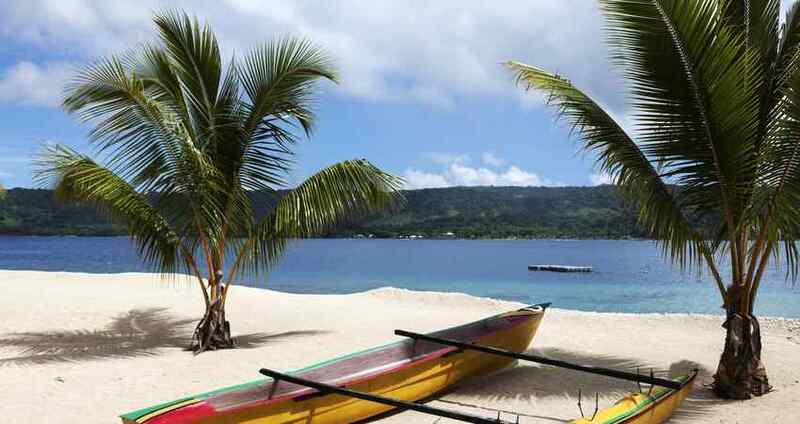 Fund managers must be resident in Vanuatu. This Act provides for the licensing of Mutual Funds and mutual fund administrators. A mutual fund is an investment scheme that allows investors to pool their funds. The investors can receive profits from acquiring, managing and selling property and other investments. A mutual fund may be a company, a unit trust or a partnership. Mutual funds are an accepted form of investment in many jurisdictions. The Act protects investors by allowing only licensed mutual funds to operate, and by requiring administrators of mutual funds to be licensed. The Bill permits the licensing of foreign mutual funds (operating within Vanuatu but established outside Vanuatu) and general mutual funds. This Act provides for the registration of Unit Trusts and the licensing of unit trust managers. A unit trust is an investment scheme established under a trust deed that allows investors to buy units in the trust. The units entitle the unit holders to participate in the income, profits and gains arising out of the acquisition, holding, management or disposal of all kinds of property. The property is held on behalf of the unitholders by a trust company. Unitholders can redeem their units by selling them back to the trust. Unit trusts are an accepted form of investment in many jurisdictions. The Act protects investors by allowing only registered unit trusts to operate, and by requiring managers of unit trusts to be licensed. The Vanuatu Financial Services Commission administers the registration and licensing regime and the Act gives the Commission powers to effectively supervise the operation of unit trusts. Criminalisation: Money laundering is a criminal offence under the Proceeds of Crime Act 2002. The terms “property” and “proceeds of crime” are defined broadly to encompass property of any type that directly or indirectly represents the proceeds of crime. Powers of confiscation, freezing and forfeiture are all available under the Act. Vanuatu has established a Transnational Crime Unit dedicated entirely to the investigation of money laundering and terrorist financing. Vanuatu has no income tax, capital gains tax, tax on wealth, estate duty or inheritance tax. An international company is granted by statute a 20 year exemption from taxation on the condition that it remains solvent. As Vanuatu does not have income tax, there are no double taxation agreements. Debits tax on each financial transaction varying from 7? to US$3.00.